The Moore Center is managed by a distinguished and dedicated group of human services professionals and benefits from the guidance of a board of directors that is committed to the highest standards of care and performance. With over 35 years’ experience in the healthcare, human services and nonprofit world, Mr. Boynton has been recognized for distinguished service and excellence in nonprofit management. Currently on the board of directors of Catholic Medical Center and The Bedford Ambulatory Surgical Center, he has also served on the boards of such New Hampshire organizations as Pastoral Counseling Services, Special Olympics NH and the New England Heart Institute. Paul received his B.A. in Social Work from the University of New Hampshire and his M.A. in Counseling from Goddard College. He is the author of Begin with Yes: A Short Conversation That Will Change Your Life Forever, hosts the TV Show Begin with Yes, and writes the business column “Beginning with Yes” for New Hampshire Business Review. Janet Bamberg is Executive Vice President and Chief Financial Officer. In this role she is responsible for the Business Office, Human Resources, Information Technology and Facilities. Janet received her undergraduate degree in Nursing at North Park College in Chicago and worked as an RN at New England Medical Center in Boston. After receiving an MBA from the University of Massachusetts in Amherst, Janet began a career in community-based services beginning with Quality Care, Massachusetts Easter Seals Society and the VNA Care Network. Janet joined The Moore Center as a consultant and then as CFO in 2005. She is also the Board Chair at Hillcrest Terrace in Manchester. Maureen joined The Moore Center in 1984. She has served the organization and our clients in a number of ways, including through direct service, investigating complaints, directing day services, working in case management as both a case manager and director, and now as Vice President of Individual and Family Services. In her current role, she oversees Case Management, Family Support Services, Client Benefit Services, Participant Directed and Managed Services, Preventative Care Services, Family Centered Early Supports and Services, Children Services and Intake. In addition, she serves as the liaison to the Bureau of Developmental Services regarding funding and client issues. Maureen holds an undergraduate degree in Social Services from the University Massachusetts in Amherst and a Master’s Degree in Business from Southern NH University. An experienced fundraising executive, Ellen joined The Moore Center in 1997 after spending ten years as Manager of Resource Development at the Elliot Hospital in Manchester. She has also held management positions at Cullinet Software and the Rhode Island Department for Children and Families. Ellen holds an Associate’s degree from The Sawyer School of Business, Providence RI, and furthered her business studies at Southern New Hampshire University. 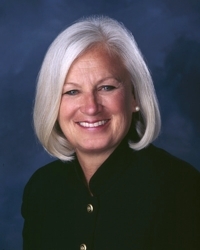 She is a former Board and Executive committee member of the Council on Fundraising, member of the Association for Fundraising Professionals, lifelong member of the Elliot Hospital Associates, and member of the Manchester Women’s Club. Board Members Dan Cronin and Arthur Sullivan discuss how they came to support The Moore Center. The Moore Center benefits from the guidance of a distinguished and dedicated Board of Directors that is committed to the highest standards of care and performance. This dedicated and professional team works hard to assist The Moore Center in creating opportunities for a good life. Mary Ann has been part of the Dartmouth-Hitchcock team for eighteen years. Currently the Senior Advisor for Community Relations, her past roles have been as the Clinical Director of Operations for Dartmouth-Hitchcock Manchester and as the Clinical Director for Community Health. Prior to returning to New Hampshire where she grew up, she worked in various healthcare roles in Wisconsin and Massachusetts utilizing her background as a Nurse Practitioner, and healthcare administrator. She graduated from the Elliot Hospital School of Nursing in Keene, NH, and the Massachusetts General Hospital Pediatric Nurse Practitioner Program. She received her BS in Healthcare Administration from Stonehill College and MS in Management from Lesley College. As a resident of Concord, New Hampshire, she maintains a healthy balance of her professional life and being a proactive participant on numerous non-profit boards and committees. Current memberships include Northeast Delta Dental, New Horizons/Families in Transition, New Hampshire Children’s Trust, NH Public Health Association, and the Visiting Nurse Association of Manchester and Southern NH. Justin is President and General Manager of Executive Health and Sports Center, (Manchester NH) Express Fitness (Hooksett NH), and NH Sportsplex (Bedford NH), which are a collection of family-owned and operated active lifestyle companies and facilitates. Unwavering in his conviction that innovative offerings, evangelical customers, and inspired employees all fuel each other, Justin has translated this belief into a career of successful business leadership. Prior to his return to NH in 2011, his career efforts included leading the operations division of an insurance consulting company awarded #7 on the Inc. 500 startup list, and leading federal government contract capture efforts for the publicly traded company Black Box (BBOX). Justin, a Granite State Native and Northeastern graduate is active in the local community. He’s served as either a committee or board member for a number of charitable causes including, The Granite State Baseball Dinner to benefit CHAD and the Fisher Cats Foundation, Boy Scouts of America Daniel Webster Council – Distinguished Citizen Award Dinner, where Executive Health & Sports Center was awarded the corporate citizen of the year in 2015, and as an active member of the Bill Kelly Memorial Road Race & Hula Hustle to benefit New Horizons, to name a few. In his spare time Justin enjoys fishing, playing basketball, and the occasional game of Monopoly. He resides in Bedford NH with his wife, Erica; and their children Jack & Andi Rose. Jake is the Vice President of Policy at New Futures and manages the organization’s policy efforts, providing expertise and management in healthcare, substance use, and early childhood policy. His role includes tracking critical legislation and ensuring that lawmakers, advocates, and the public are well-informed about New Futures’ core issues. Prior to joining New Futures, Jake served as District Director for U.S. Rep. Ann McLane Kuster in New Hampshire’s Second Congressional District. He also worked as a reporter and editor at newspapers throughout New Hampshire and across New England, including the Nashua Telegraph, the Cape Cod Times, the Keene Sentinel and others. Jake currently serves as Secretary of the Board of Directors of Temple Adath Yeshurun in Manchester. 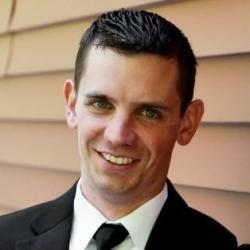 He has previously served on the boards of Best Buddies New Hampshire and the New Hampshire Press Association. As Granite State native, Jake attended Manchester public schools. He earned a Bachelor of Arts in Communications and Sociology from Boston College and received a Master’s in Educational Studies from Southern New Hampshire University. In his spare time, Jake enjoys spicy food, BC sports and the music of Bruce Springsteen. He lives in Manchester with his wife, Anna; their twin boys, Evan and Jonah; and their dog, Clarence the Corgi. 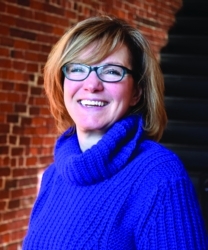 Heidi is president of Millyard Communications Inc., which publishes a monthly business magazine, Business NH Magazine, and produces eight to 10 events annually, including the Made in NH Expo. Heidi is a graduate of the University of Southern California where she studied journalism. She began a career as a newspaper reporter eventually migrating to the business side of journalism. She sits on a number of boards including the Greater Manchester Chamber, Leadership NH, and the Small Business Development Center. Dan is the President of CGI Business Solutions. He began his career as an Insurance Broker and Financial Advisor upon his graduation from the Whittemore School of Business at UNH with a Bachelor’s degree. Prior to forming CGI, Dan worked in the insurance industry as a broker for seven years. 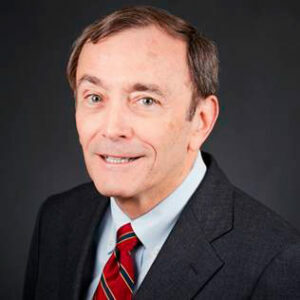 He is an active member in the insurance industry and serves on the advisory boards for Anthem BCBS, Harvard Pilgrim Health Care, Tufts Healthcare, and Northeast Delta Dental. He works closely with the insurance carriers to develop and implement local product offerings that are both innovative and cost effective to employers. Dan is an active and influential leader in the community. He has a passion for non-profits and enjoys lending a helping hand wherever needed. Joe is the Senior Vice President of Commercial Lending at The Provident Bank. Ralf is CEO of Kluber Lubrication NA LP. Ralf is responsible for overseeing sales and marketing for the US, Canada, and Mexico and for overseeing the local NH sites of Kluber Lubrication. Ralf is a US Citizen born in Germany. He, his wife, and their three children moved to Bedford, New Hampshire in 2012. Ralf is involved with the Bedford Bobcats/Special; Olympics of New Hampshire through the Freudenberg e2 initiative focusing on partnership and financial support to local non-profits concerned with education and the environment. Ralf and his family feel particularly strong about facilitating the inspiring work done by organizations like the Jesuit Refugee Service supporting displaced people around the world. Ralf has more than 20 years of executive management and sales and marketing experience in the specialty chemical, metal cutting, and industrial equipment industry. Prior to joining Kluber Lubrication NA LP as CEO, Ralf managed Vollmer of America Corp., a specialty machine tool manufacturing company for almost ten years as president responsible for their North American operations. Prior to this, Ralf managed Schunk Intec, Inc., an automation, work-holding and tool-holding company as president responsible for their North American operations. 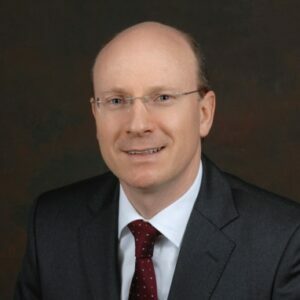 Ralf holds a degree in industrial engineering and management from the Karlsruhe Institute of Technology in Germany and an MBA from the Isenberg School of Management from the University of Massachusetts at Amherst. Mark started Ride-Away Corporation in 1986 and grew it into the nation’s largest mobility dealer of vehicles adapted for people with disabilities. After more than 25 successful years and with 12 stores in 9 different states, he sold the company in order to pursue other challenges. While operating and growing Ride-Away, Lore created the Adaptive Driving Alliance, a national organization for mobility dealers that promoted quality and set a high service bar for dealers across the country. During his career in mobility, Mark sat on more than 8 different boards of directors including Easter Seals, The Moore Center, and Granite State Independent Living, to name a few. His writings could be found in each edition of the national newsletter, “Newsbrake,” which was read by professionals throughout the mobility industry. Perhaps his greatest achievements can be found in the numerous awards attained by Ride-Away for their operational excellence, community service, and tremendous philanthropy. A small sampling of these awards are: Small Business Person of the Year by the SBA, Retailer of the Year, and Good Samaritan of the Year. 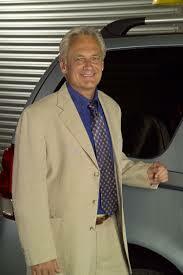 He has also had many paid speaking engagements, as well as creating the successful travel game Rubberneckers. Today he manages multiple commercial properties that are still owned by him. In addition, he continues to sit on various non-profit boards and regularly speaks to graduates from West Point on a self-developed presentation detailing “Business Leaders Survival Guide,” which addresses how to be successful in a business venture, as well as operating with ethics and integrity in the savage business arena. Sue possesses over twenty-five years of leadership experience in healthcare management. In 1994 Sue was employed by the Bedford Ambulatory Surgical Center, where she currently serves as Chief Operating Officer. Her expertise includes overall management of facility and staff operations, oversight of compliance with state and federal regulations and development and implementation of marketing and strategic planning ventures. Additionally, her primary responsibilities include payor relations, including negotiation/maintenance of contractual agreements and oversight of all aspects of the accounts receivable process. Sue currently serves at the ASC Executive Member on the Board of Directors of the New Hampshire Health Care Quality Assurance Commission, and is a member of the ASC Association and the Medical Group Management Association. As the Executive Director and CEO at McLane Middleton, Cathy is responsible for overseeing the operational, financial, marketing and human resource functions of the law firm, and works closely with the firm’s management team on day to day operations and strategic planning. Cathy joined the firm after spending almost six years as President and CEO at Citizens Bank New Hampshire & Vermont. Cathy is a resident of Bedford, New Hampshire and is very involved in the community. She has served on the Boards of New Hampshire Business and Industry Association, the Manchester Chamber of Commerce, the Manchester Economic Development Corporation, and the New Hampshire Business Committee for the Arts. She also spent ten years on the board of Granite United Way. Cathy currently serves on the Board of Trustees for the Nackey Loeb School of Communications and is on the Capital Campaign Committee for CATCH – a nonprofit housing organization. Cathy holds a B.S. in economics and psychology from Boston College. 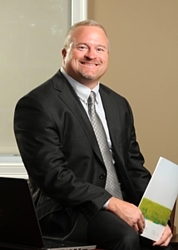 Chris is the President of Cross Insurance Agency in Manchester, NH. More coming soon! Arthur is a Manchester native and is a licensed Real Estate Broker and Principal Partner in Brady Sullivan Properties. He has spent the past 32 years using his real estate experience to become one of southern New Hampshire’s largest industrial, office and residential property owners. He serves on many committees and non-profit organizations to give back to the community. It is a commitment that he takes seriously. Arthur is currently active with Intown Manchester, New Hampshire Catholic Charities, New Hampshire Charitable Foundation, New Hampshire Institute of Art, The YMCA, The Muchachos, The Moore Center and the New Hampshire Food Bank. 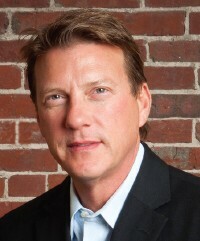 Ed Sullivan is a Londonderry resident and is Director of Client Development for Welch & Forbes LLC, a Boston based Registered Investment Advisory firm providing investment management and other financial services. Ed is a graduate of the College of the Holy Cross and Suffolk University Law School. He is a member of the New Hampshire Bar Association and active in a number of organizations throughout New England. Debra is a native of New Hampshire and a Vice President, Commercial Loan Officer at Bank of NH in their Manchester, NH office. 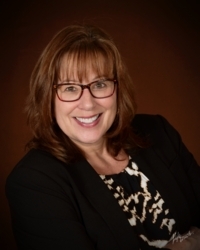 Debra has over 35 years of experience in banking, primarily in commercial lending in the Manchester area. Debra is a graduate of the Leadership Greater Manchester program and enjoys giving back to the communities where she lives and works. Debra previously served on the Executive Board of the Manchester Historic Association and various other committees in Manchester. 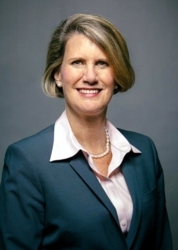 She is currently Chairperson of The Moore Center’s Finance Committee, and is a member of Christ the King Parish Finance Council in Concord, Chairperson for the NH Bankers Association Commercial Lending Committee, and the Bow Garden Club. Debra resides in Bow with her husband Eric and daughter Abigail Timberlake. The New Hampshire Bureau of Developmental Services established and supports the Family Support Advisory Councils for each of its 10 service areas. Each council is a volunteer committee consisting of people with a family member receiving services from the area agency. The council advises and monitors the area agency (In Region VII, that’s The Moore Center) regarding family issues and helps to develop goals and family support plans with The Moore Center’s Family Support department. The council has direct control of a portion of funding for our region, determining how best to use it to meet families’ needs.